Plan a magical wedding weekend or fun corporate retreat by renting the entire hotel for your group for at least three (3) nights. With sleeping accommodations for up to 38 and event space for up to 125 (standing) and 75 (sitdown) - our hotel is ideal for intimate events such as weddings and receptions, business and wellness retreats, reunions, vow renewals, rehearsal dinners, anniversaries and more! 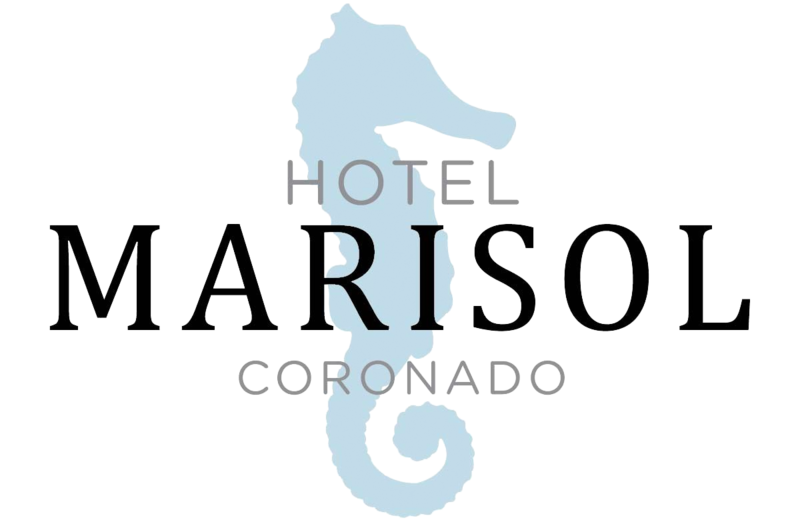 If you're planning a private event and are hosting groups of 38 or fewer, let Hotel Marisol Coronado be the choice to accommodate your guests. Contact us at (619) 365-4677 for our special group rates. This charming, luxurious, boutique hotel offers 15 rooms, 2 standard queens, 9 deluxe kings, and 4 junior suites with king beds. Allow us to host you and your guests and enjoy our luxurious coastal boutique experience. Earn kudos from your colleagues by hosting your next business event or retreat at our stunning boutique hotel. Slow down your pace and savor the time together as two families become one. No noisy crowds, just you and your favorite people coming together to celebrate the beginning of your life's adventure. Consider hosting a wedding related event in our private garden courtyard. It can only be rented when you have booked the entire hotel for at least three nights. See our Wedding Events page for more information. Spread out in a junior suite with your bridesmaids, moms and friends. Don't let your day rush by. Cherish each moment together, sharing memories, and delighting in the traditions of preparing for your wedding nuptials. For more photographs of our wedding events, see our Wedding Gallery. For more photographs of our events, see our Events Gallery. Call us at (619) 365-4677 for more information about this exclusive venue or fill out a request form here.